Red Faction Guerrilla - rebuild/reset all buildings? In Red Faction Guerrilla, I see that the more buildings I destroy, the more size the save file increases, that means (I think) the save file actually stores which buildings get destroyed. I have completed the game but I don't see the buildings rebuild. So does anyone know how to rebuild the building? (I'm thinking about using a save file editor to remove the destroyed buildings that get stored). What I want is full map, full weapon, full buildings (and bridges). 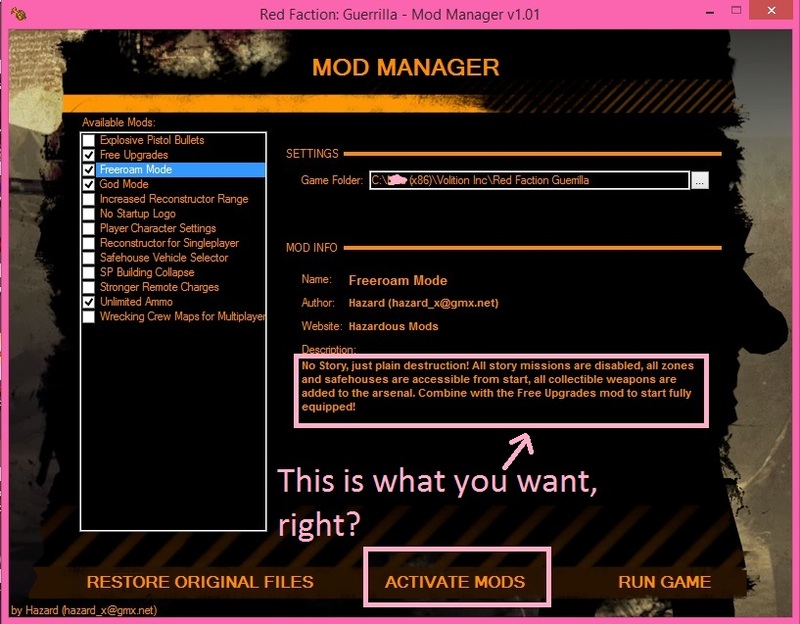 Step 3: Run ModManager.exe (which you just copied in step 2), then select the mods (Freeroam Mode: give you full map & Free Upgrades: give you full weapon), then click "Activate Mods". Step 4: Run game & start new game (give you full buildings and bridges), then save game. From now on, just run the game & you get: full map, full weapon, full buildings (and bridges). Not the answer you're looking for? 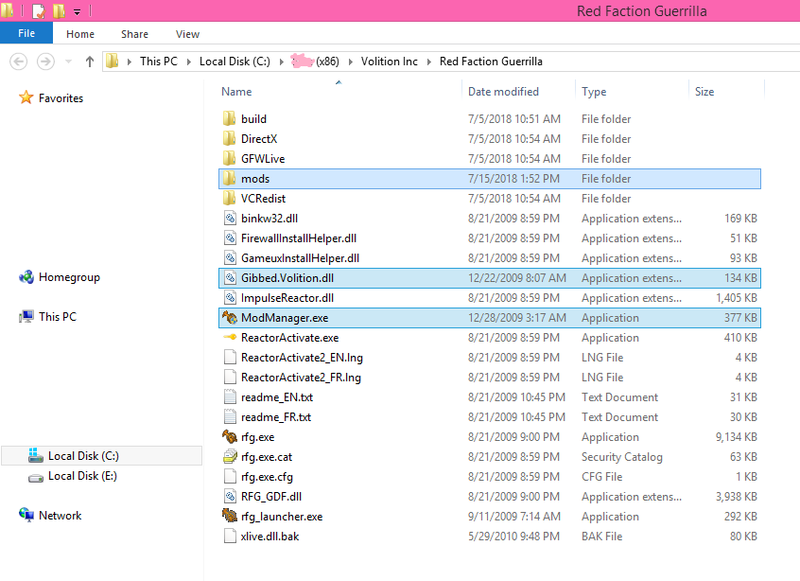 Browse other questions tagged pc red-faction-guerrilla or ask your own question. Is there a way to get incomplete Guerrilla Actions back after a sector has been liberated in Red Faction: Guerrilla? How to reset all achievements and stats on Modern Warfare 2? How can I replay more destruction in Red Faction Guerilla? How do I get Parker sector to 100% support in Red Faction: Guerrilla? Does Red Faction: Armageddon require Steam? Can I reset the spaceship parts mission? Repair or rebuild Signal Interceptor after quest?